1Place has been working with BestStart Education and Care Centres (formerly known as Kidicorp) since October 2014. 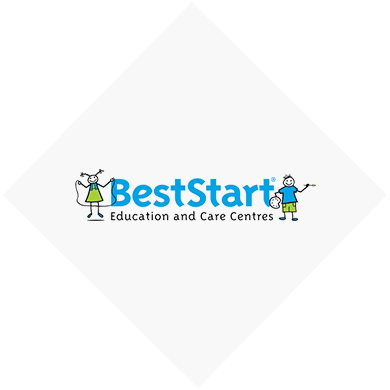 BestStart is the umbrella organisation for over 260 childcare centres that operate under seven main brands. 1Place automates health and safety, compliance checklists and property inspections across BestStart’s hundreds of sites throughout the country to ensure that each site complies with Ministry of Education regulations, and resolves issues quickly. Property inspectors completed a 12-page checklist which was taken back to the office and filed. This process relied on the checklists to then be collated and analysed by additional staff members before any issues could be resolved. Property inspectors arrive on site with their iPad or tablet at the ready. The checklist is structured into sections allowing the inspector to walk through the site and complete inspections in real-time by simply clicking through. As issues are identified, tickets are raised on the spot noting required actions. Photos are added for evidence and tickets are assigned to internal parties or external suppliers. On completion of the checklist the final report is saved and is instantly available to the Property Administrator via the 1Place dashboard. The transparency of data has improved brand consistency and quality across the numerous sites. The efficiencies created by 1Place have saved huge amounts of time previously spent typing reports and following up on issues. 1Place has transformed the way we operate. Moving our daily procedural checklists, illness and incident forms online has saved countless staff hours, and means I can act straight away – even if I’m not physically in the building.